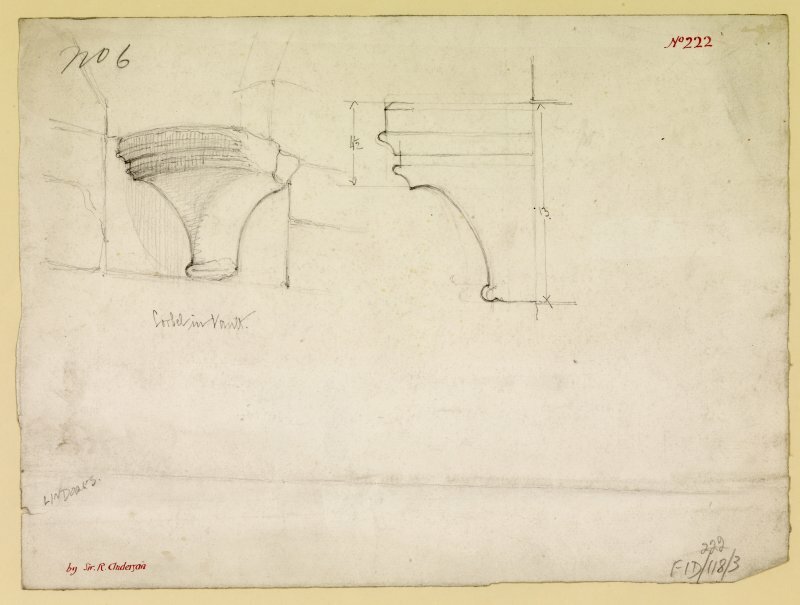 Sketches of terminal to hood mould and capital, Lindores Abbey. 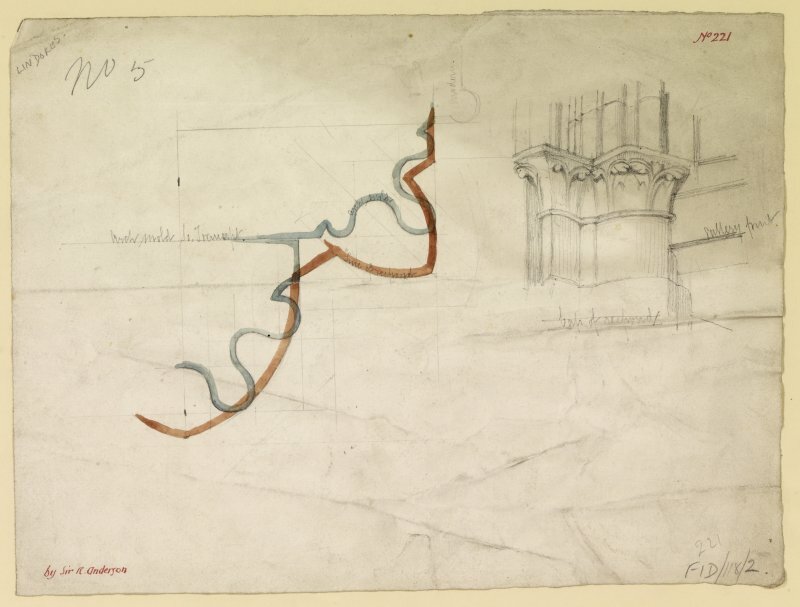 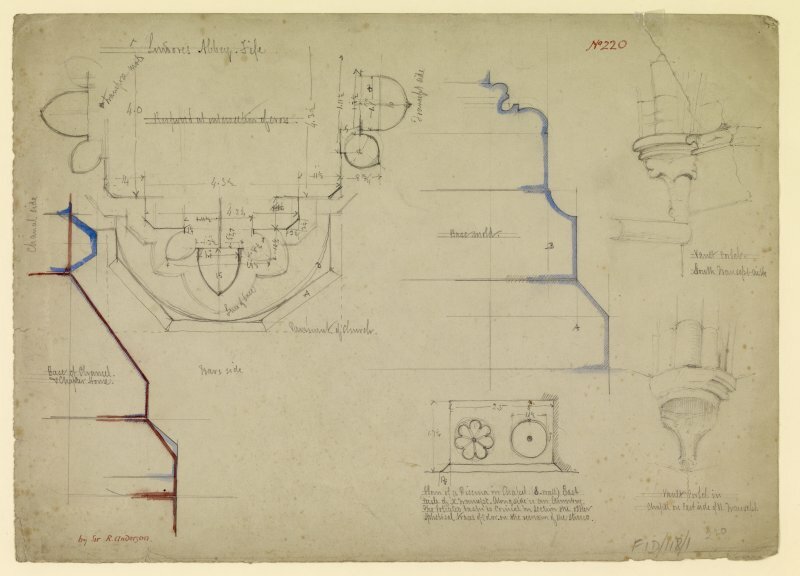 Pier and archmould in south transept and sketch of capital, Lindores Abbey. 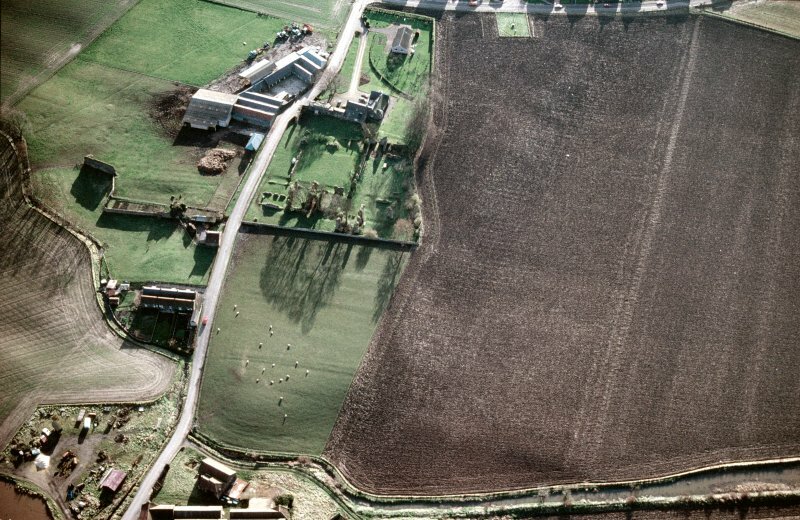 Oblique aerial view of Lindores Abbey, taken from the SSE. 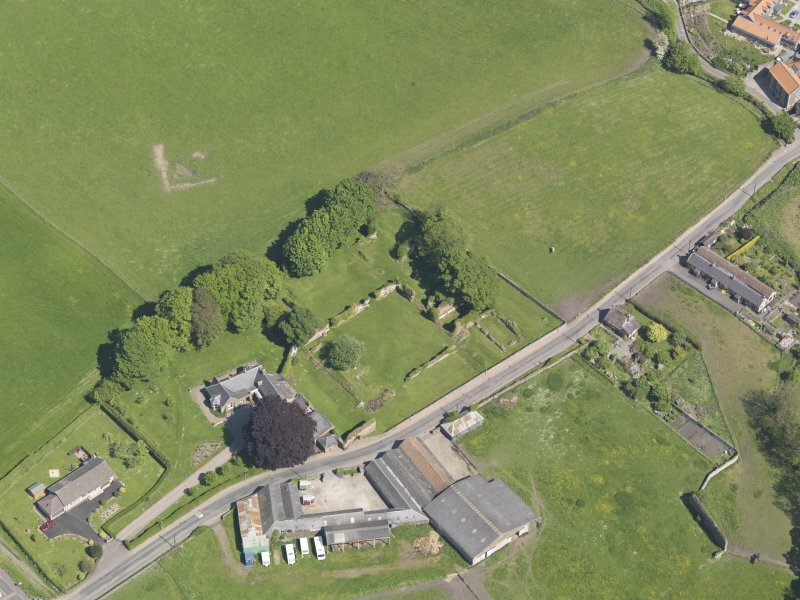 Oblique aerial view of Lindores Abbey, taken from the SSW. 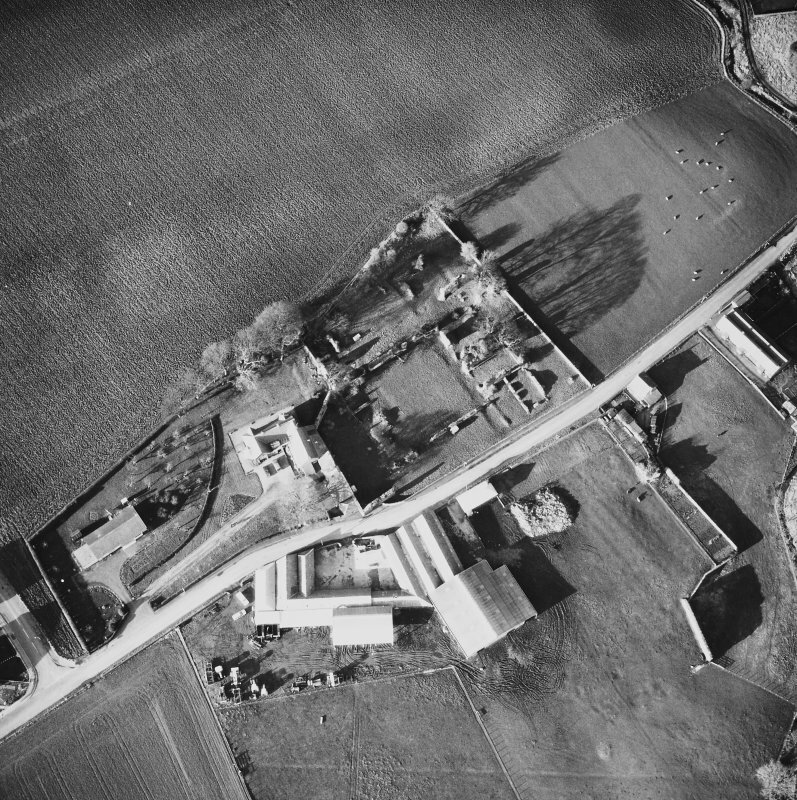 Oblique aerial view of Lindores Abbey, taken from the SE. 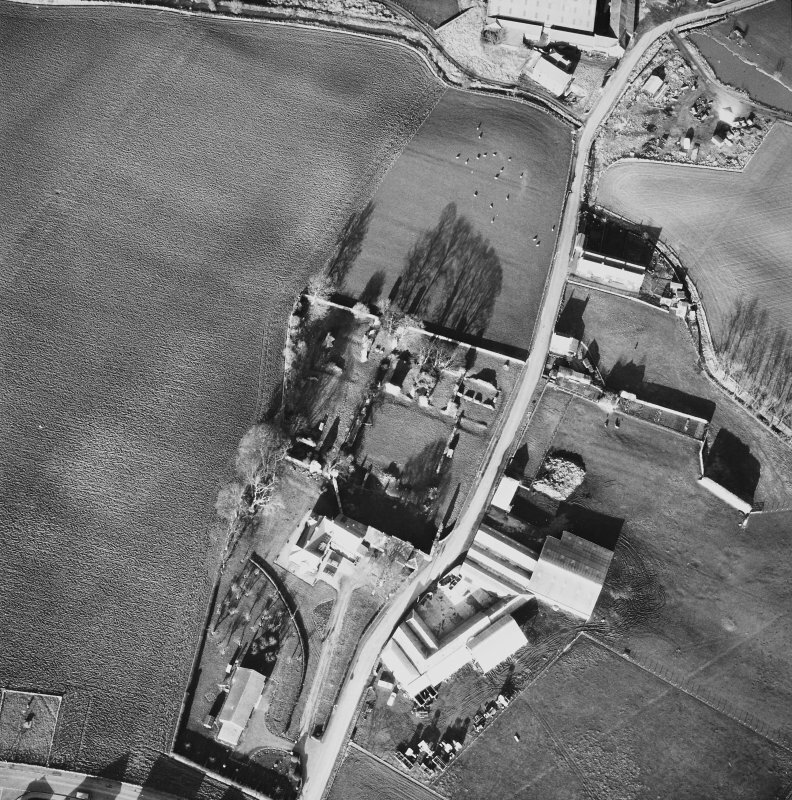 Oblique aerial view of Lindores Abbey, taken from the W.
Oblique aerial view of Lindores Abbey, taken from the NW. 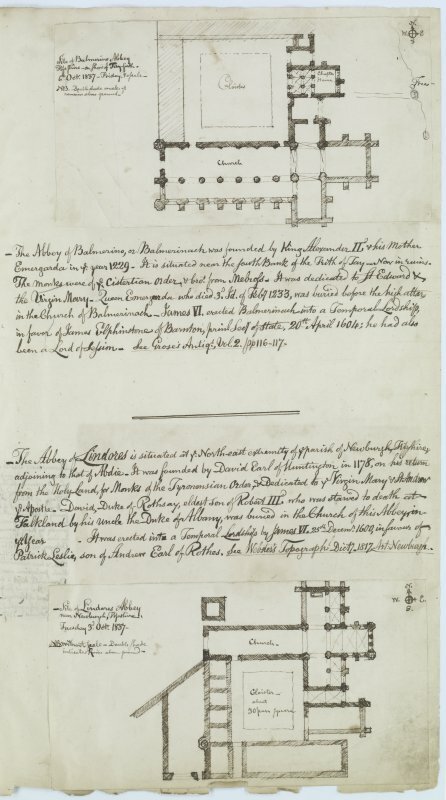 Plan and details, measurements at crossing, responds, pier bases, chancel base course and plan of piscina, Lindores Abbey. 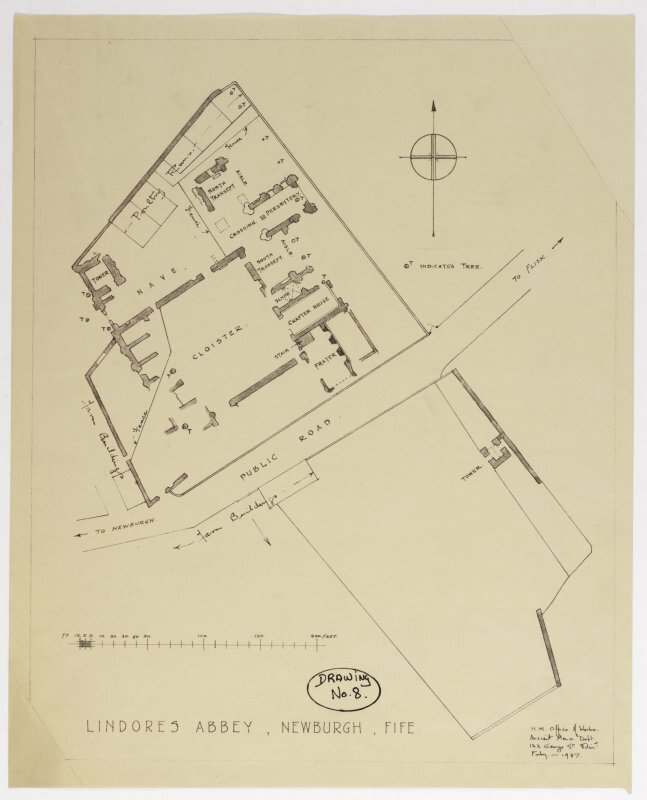 Drawing showing plan of Lindores Abbey. 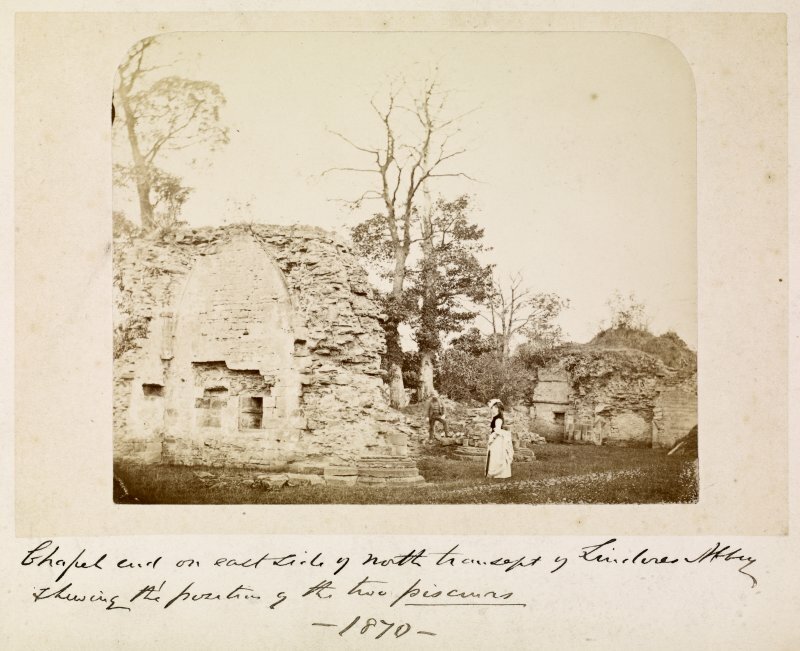 View of abbey with two people. 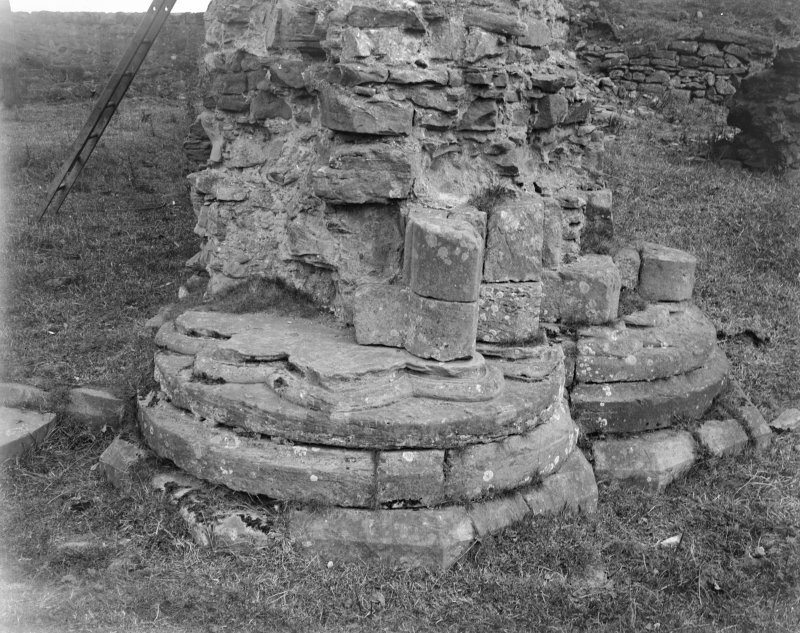 Titled: 'Chapel end on east side of north transept, Lindores Abbey showing the portion of the two piscurns. 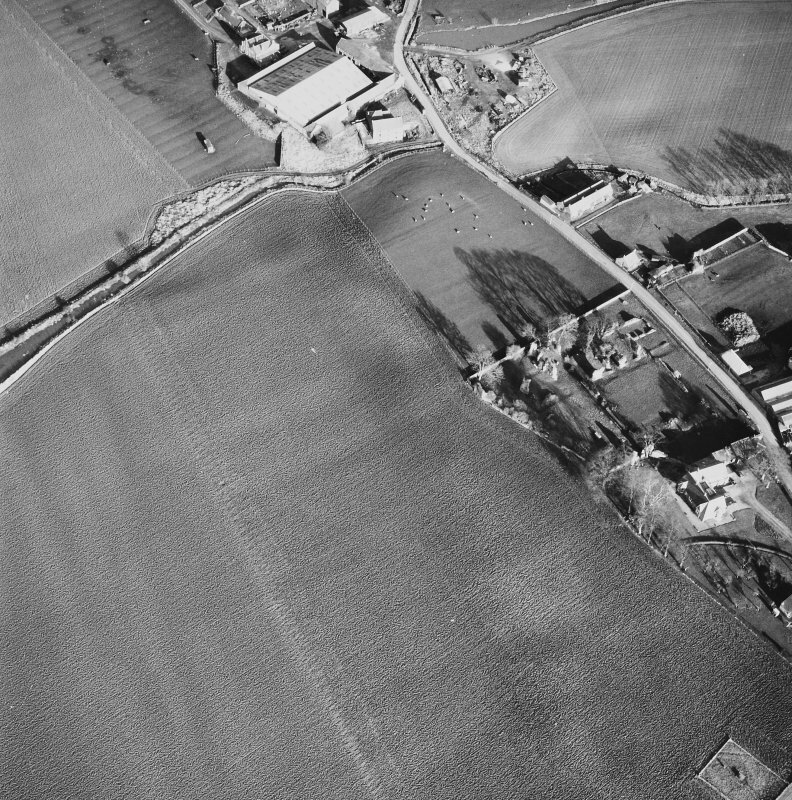 1870'. 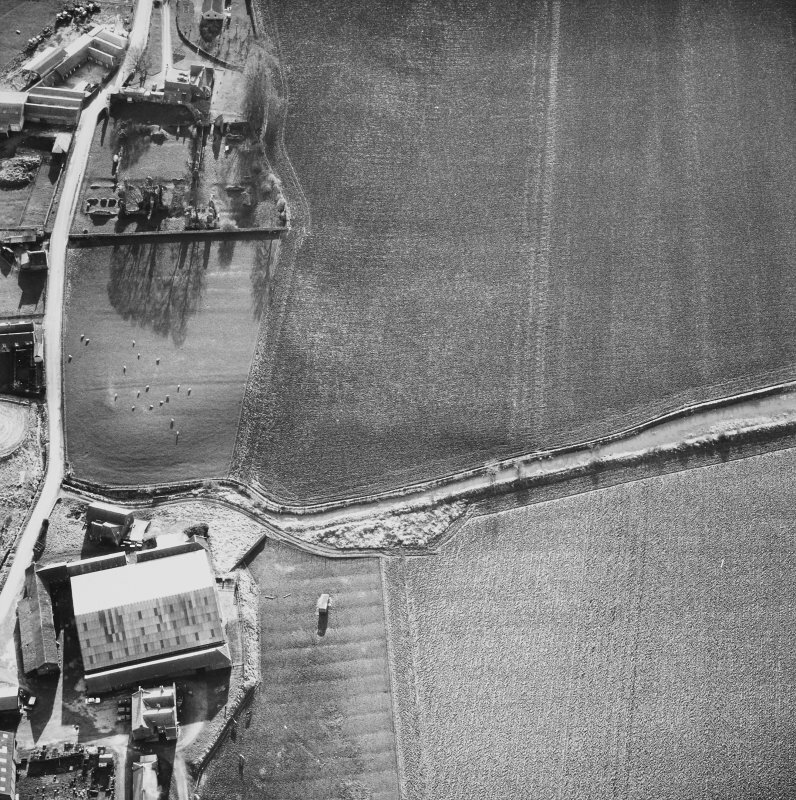 Oblique aerial view of Lindores Abbey, taken from the N.
Section and sketch of corbel, Lindores Abbey. 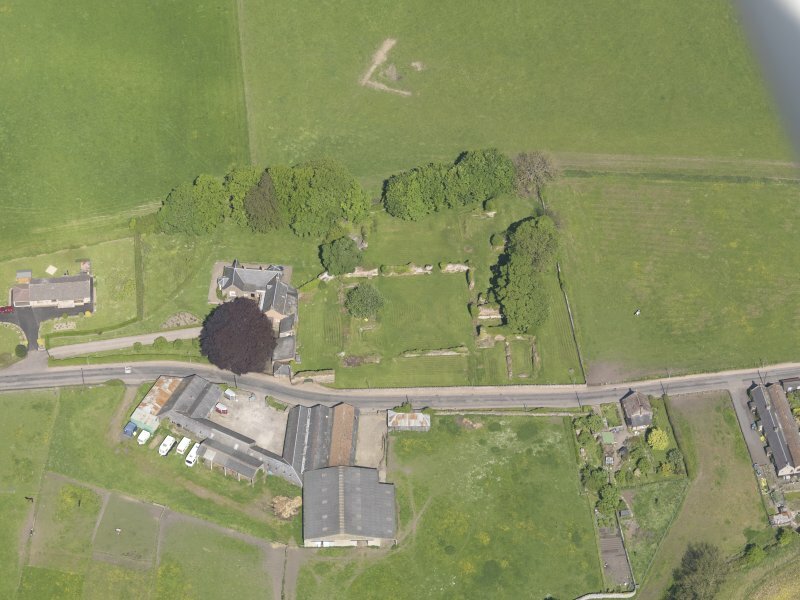 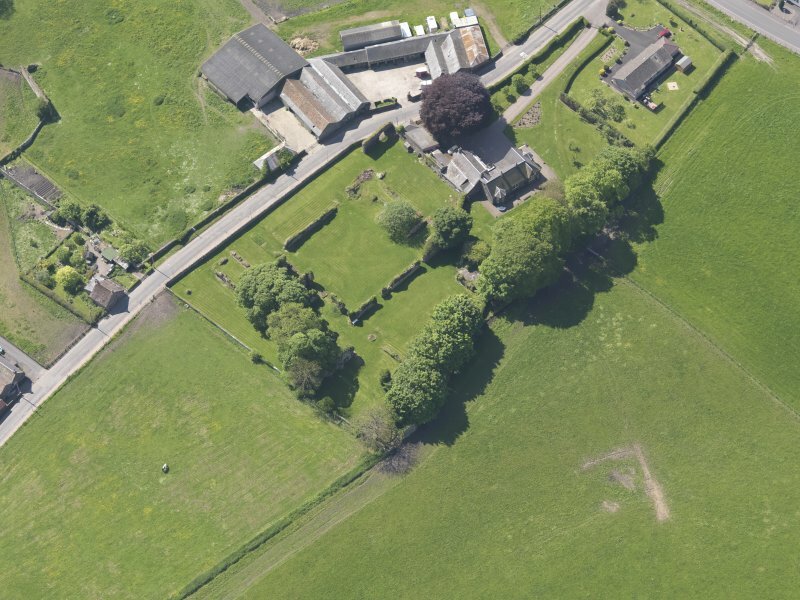 Oblique aerial view of Lindores Abbey, taken from the S.
For traditionally-associated Monks' Well (NO 2373 1795) and Abbot's Well (NO 2407 1795), see NO21NW 10 and NO21NW 19, respectively. 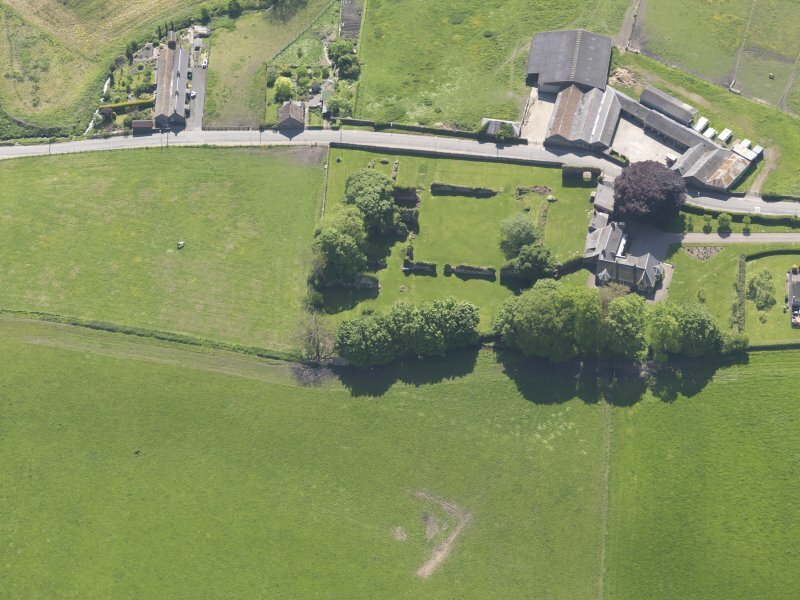 For discovery of cist and human remains near the abbey, see NO21NW 8. 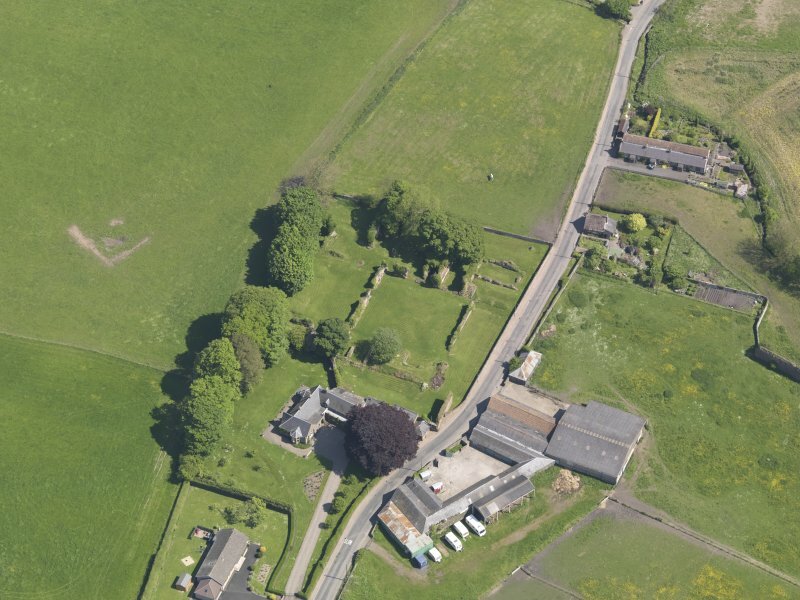 For (adjacent) Lindores Abbey Farm, see NO21NW 142. 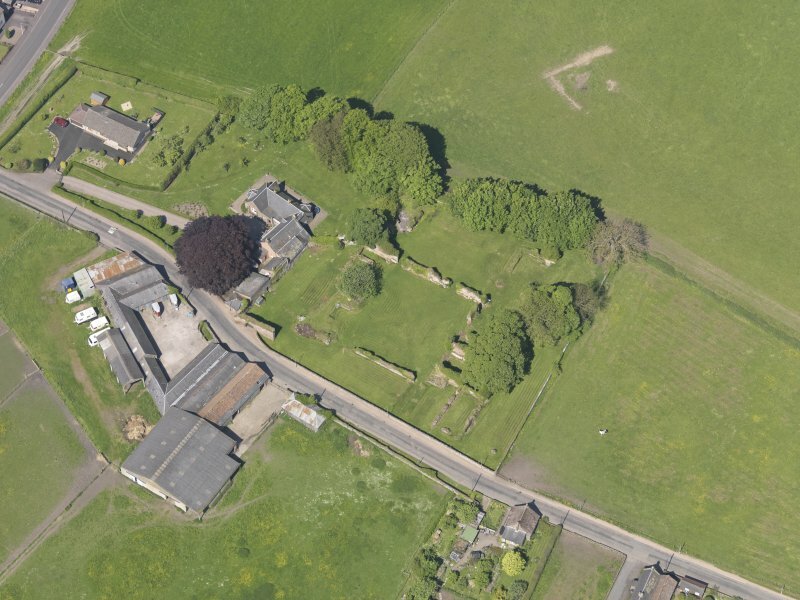 Location formerly entered as NO 2438 1846. 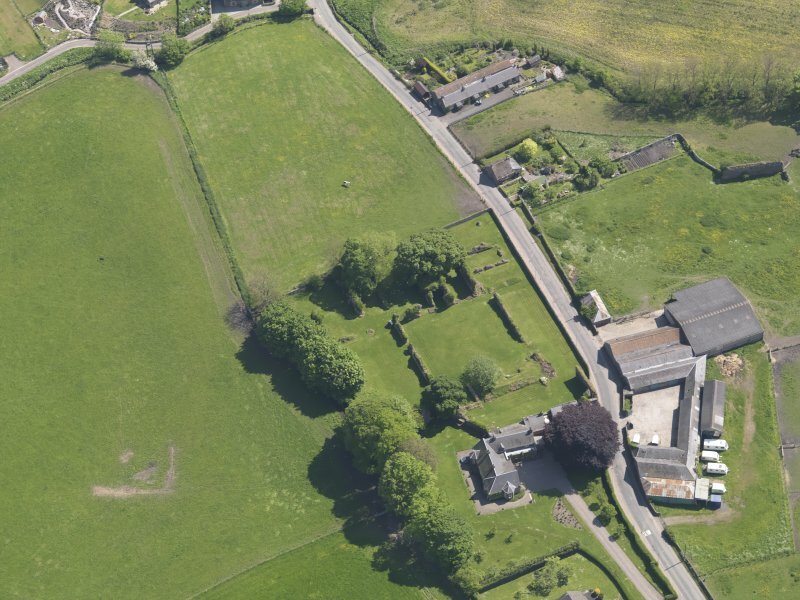 Non-Guardianship Sites Plan Collection, DC28173- DC28181, 1870, 1925 & 1937. 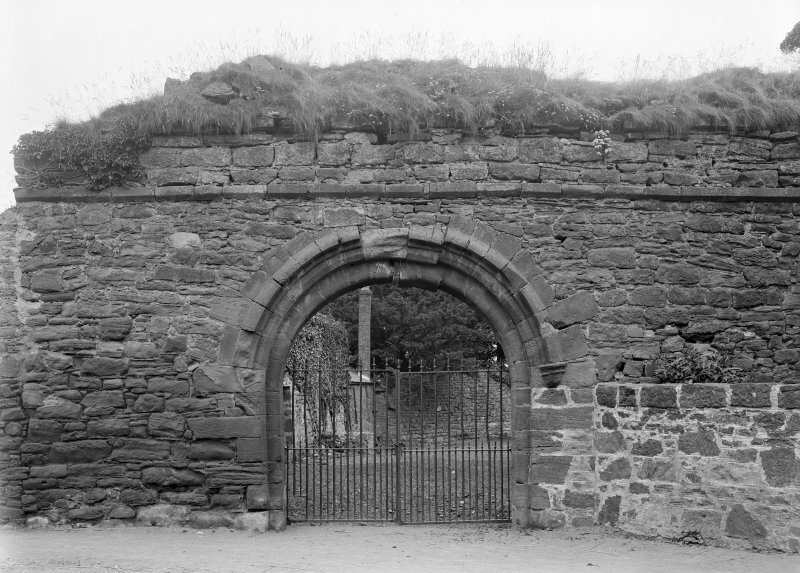 The Tironensian Abbey of Lindores was founded in 1191 by David, Earl of Huntingdon. 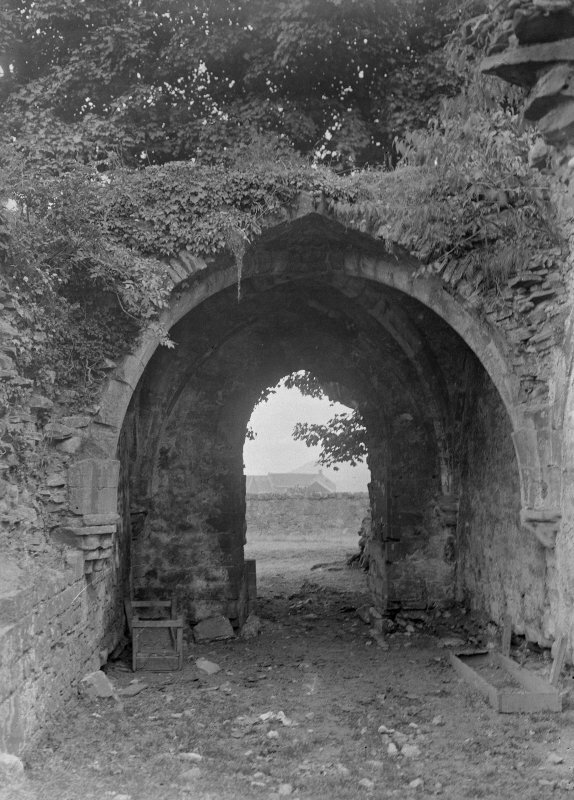 Though Scotichronicon (Fordoun 1759) gives its foundation date as 1178, this may be regarded as being too early (D E Easson 1957) Reformers sacked the Abbey and expelled the monks in 1543, and again in 1559. 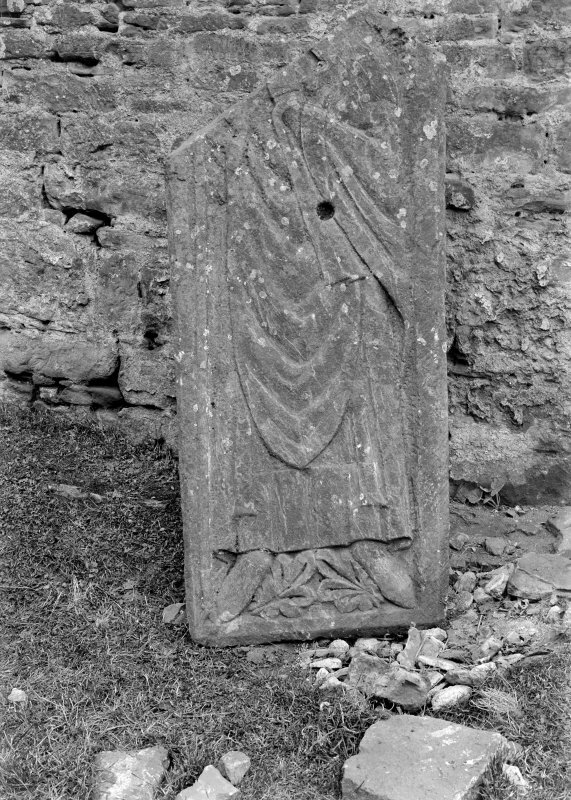 It was secularised in 1600. 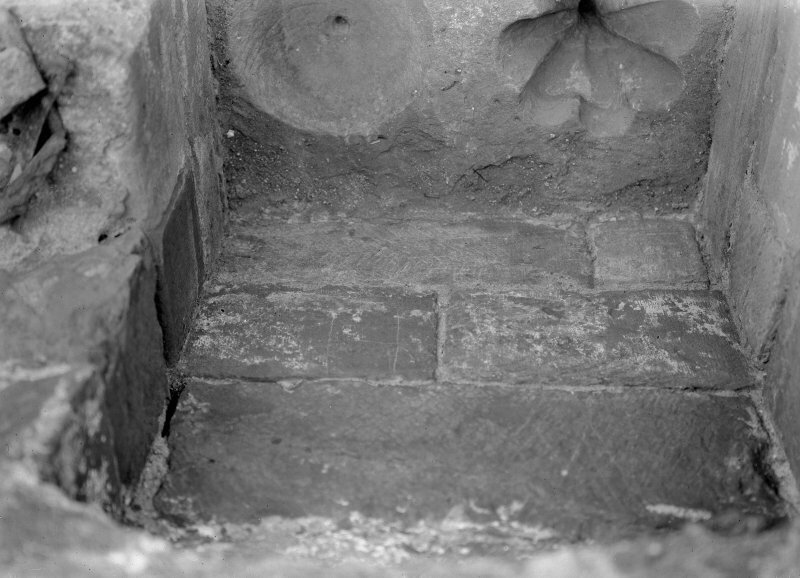 It is now considerably ruined, the buildings have been robbed of stone, but the ground plan has been defined by excavation carried out about the middle of the 19th century. 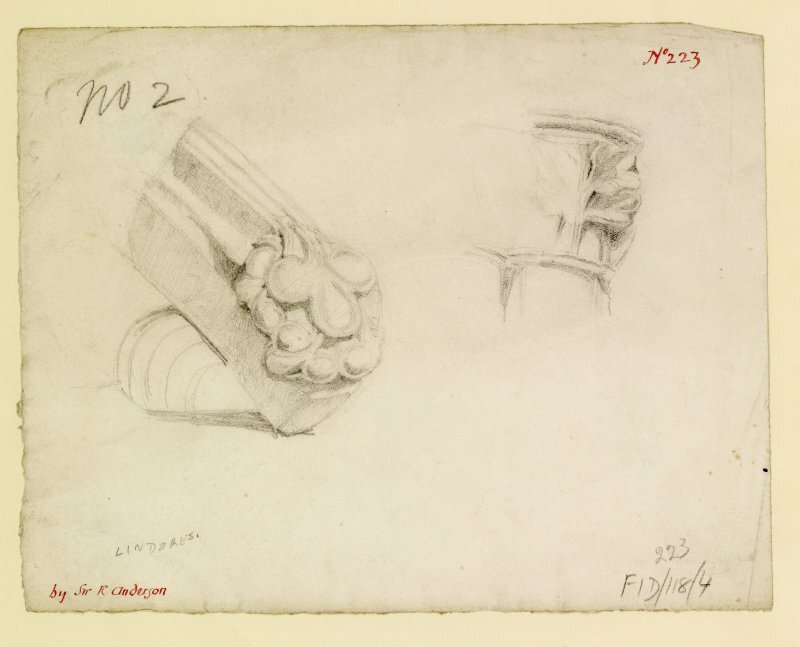 Fordoun 1759; RCAHMS 1933; D E Easson 1957; S Cruden 1960. 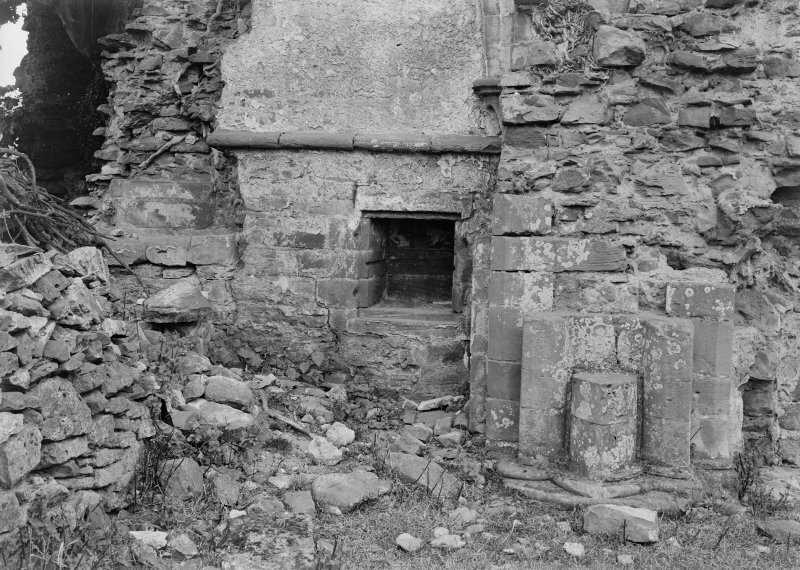 Lindores Abbey is in poor state of repair. 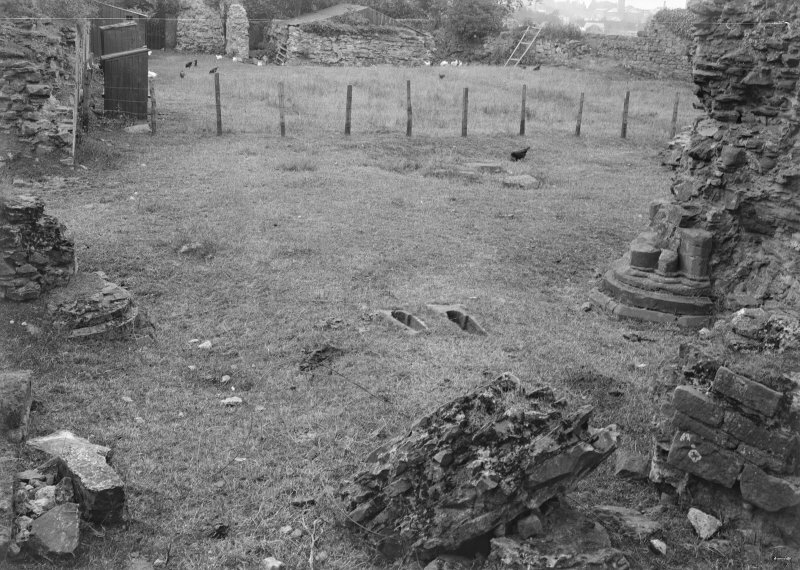 Visited by OS (J L D) 26 October 1956 and (R D) 10 June 1970. 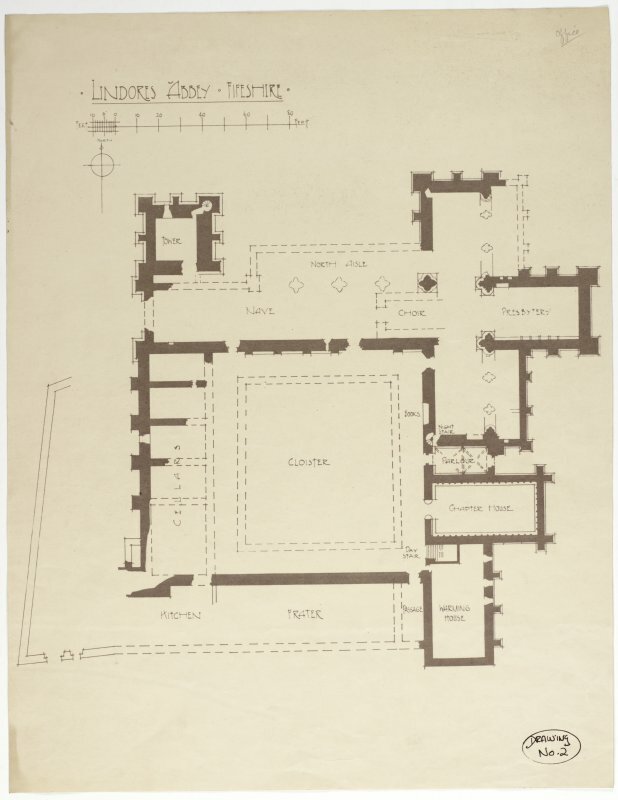 Information from Historic Scotland, scheduling document dated 5 October 2011.
in the centre of the cloister.